Take a quick glance at the image with this blog and guess how big the smaller of the two pictured worms is. Next, guess the size of the larger worm. And if you are really good, guess the brands of each. 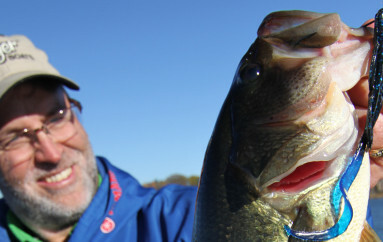 Hah, the mantra: big baits= giant bass. True? I guess so since one of my favorite baits for muskies is called The Pounder” because it weighs a full pound. And years ago, I remember a giant walleye attacking a smaller one a friend had hooked. Much like a pike, the huge walleye followed the small fish right to the boat where it missed it not once, but twice. That fish was well over 10 pounds; his intended meal went maybe 13 inches…or 10 inches longer than the live leech I was using. I remember this incident well because it was the first time I seriously considered the big bait, big fish question. Back to the worms. You may be shocked, but the smaller of the two pictured is a 10.5-inch Zoom Ol Monster in plum. And the other? It’s a 19-inch Monster Straight Tail from Upton’s Custom Baits. This worm is a full one-inch thick at the head! 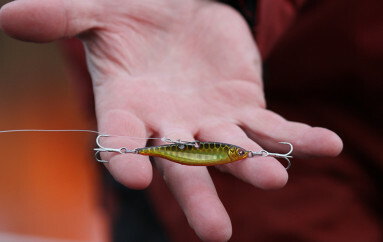 Upton’s also offers baits running 13, 16, 17 and 20 inches, though not all are as fat as the 19-inch monster. In this day and age of pressured fish, going away form the norm is a solid strategy. Most bass anglers have already adapted, going to smaller finesse baits like 4- or 5-inch worms fished on a shaky head or drop shot rig. The beef I have with finesse techniques is the number of undersized fish you must weed through on many waters. 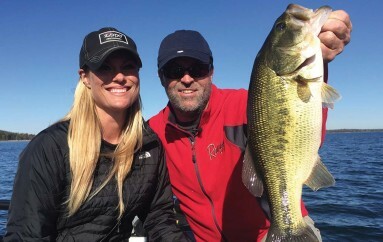 And while these techniques do produce big bass, if targeting giants it has been my experience that going larger is better. But going to worms that measure up to 20 inches? Yesterday I landed two six-inch bass while fishing a 7-inch worm on my home lake. Physically, both bass were too small the eat the bait I was using. Larger bass sometimes act the same way. Does that mean I’m going to start throwing a 16- to 20-inch worm? The answer is both yes and no. No, because where I do 99 percent of my fishing a worm that size would eliminate most of the fish available to catch (2-5 pounds). Yes, because I also travel to fish and when I am on a lake in California, Florida or Texas or a special fishery like El Salto in Mexico where there is a shot at fish weighing 15, 16, 17 pounds or more, I will fish baits that offer a chance to catch a fish of a lifetime. But going large doesn’t just mean going giant. Stepping up from a 7-inch worm to one running 10 or 12 inches could be the different between a fishless bank and one producing fish. Again, it’s offering the fish something different. 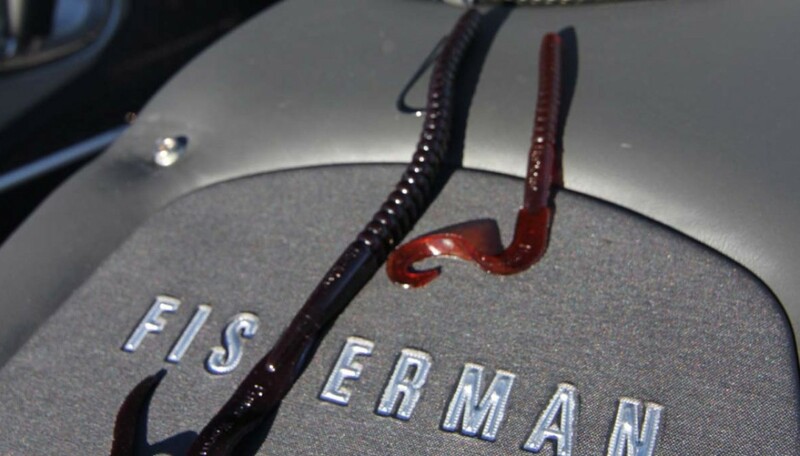 Most pros rig large worms Texas style with off-set worm hooks that measure anywhere for 5/0 all the way up to 11/0. This is an ideal way to fish big worms, especially in cover. However, more and more pros are finding that larger Shaky heads with 5/0 or 6/0 hooks is even deadly because the bait is not flat to the bottom, but head-down, tail up, where it generates a lot of looks from nearby fish.